How many times a day do you hear the word “Facebook”? Well, if you’re working in marketing, then you know it’s pretty much countless. And how much information about Facebook do you get to listen to every day? And the worst thing is, not all of it is true. If you want to maintain your Facebook presence, you need to know which Facebook Myths you should NOT believe in. Why? Check out our article! If you believe this, we are very, very sorry to inform you that you could not be any more wrong. If there were a universal solution for this growth, it would be used by every page and all of them would be successful. But we do have a good idea of what that success looks like. The key to success for every page is unique and depends on several different factors. What is your budget, what is your business goal, what do you need social media for? Who do you want to reach and why? What do you have to offer, what is the story behind your brand? Once you sort all that out, you can take action and effectively measure your social media efforts. If anyone tells you about an ideal formula, it’s probably some good advice that worked for them, but that doesn’t mean it will apply to your business. Myth #2: You can’t post the same thing twice. Some people think and say that publishing the same piece of content more than once is a basic mistake. But the actual mistake is thinking this way. A piece of valuable, original, unique content can be published in different ways many times (and even across many platforms) – no matter if it’s blog posts, sleek infographics, interviews, or videos. As long as you think it can bring value to your audience, you’re more than allowed to post it on and on and on. Well, maybe not everyday – but in the case of bigger communities, they may not even remember (or it didn’t reach them) what you published 3 days ago. Try a lot, test a lot, and you’ll see that redistributing and repurposing your content can help you save some time, money, and nerves. Go for it! Myth #3: The same type of content works the same for every industry. No, it does NOT. Even if your best friend tells you that videos work well for him, you shouldn’t be surprised if it doesn’t work for you. While in some industries it’s video that’s king, in other industries it’s text statuses (not often, but still happens!) or photo posts. In others, link posts do the job best. And you won’t find out what works for you unless you test different solutions for your Page. It might be – but only if you don’t know where to start and if you look at the surface level options. There’s so much more to know about your competitors, and we’re happy to help you with this process. 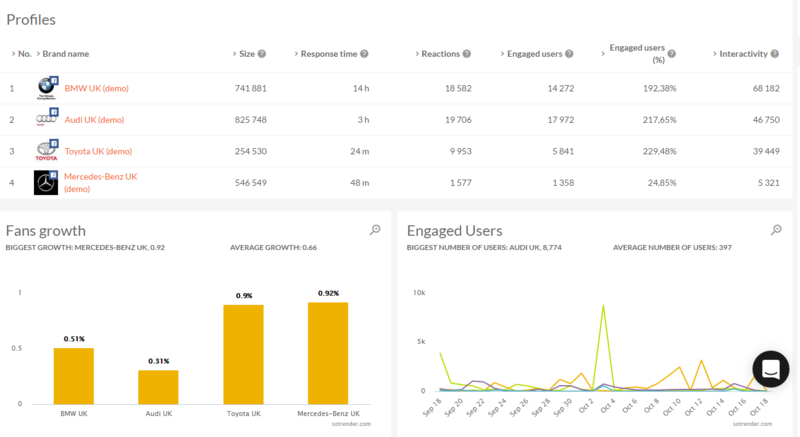 Thanks to our Benchmarking feature, you can keep an eye on your competitors even without having access to their pages. You’ll get detailed statistics that reflect their successes and failures. Sounds like a good plan for improving your strategy, don’t you think? Myth is debunked, their secrets revealed. Ba-dum-tss. This one is a common thought among marketers and “marketers”, who buy fake likes or spend their very last penny on gaining new followers. More, more, and more fans – this seems to matter to a lot of them. As if it were any real indicator of how good a particular page is, or how trendy a brand is. The truth is – there is no confirmation that your engagement rate will improve along with your number of followers. In fact, due to Facebook’s algorithm, it might even decrease – bearing in mind how “big” organic reach is, the scale may look different – and worse than you think it would. 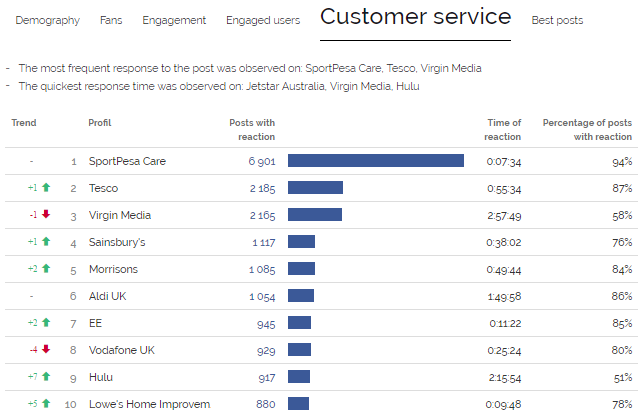 More fans may mean more engagement, but you need to work on it constantly by analysing and optimising your performance. Facebook is NOT free, and we, marketers, should all know about it. It doesn’t mean that you HAVE to pay to “play” – while it is a common thread, there are still many pages that don’t need boosting thanks to the thoughtful and attractive content they provide. Using paid promotion can help, but it won’t be effective if the problem is how and what you publish. That’s why constant optimisation and keeping an eye on details is so vital – improving your content can make it flourish and go viral! Focus on the quality of your content and ways of redistributing it. Your audience is what makes your social media presence go round. You can’t predict how engaged your followers will be, but you can get ready for a quick reaction if anything happens – no matter if it’s a big crisis, complaint, request, or even a compliment. React, try to go the extra mile for your clients – and you can win not only their hearts. Remember that gaining followers is easy, but it’s much more difficult to keep them entertained, interested, and engaged. If you don’t react once, you might not have another chance. 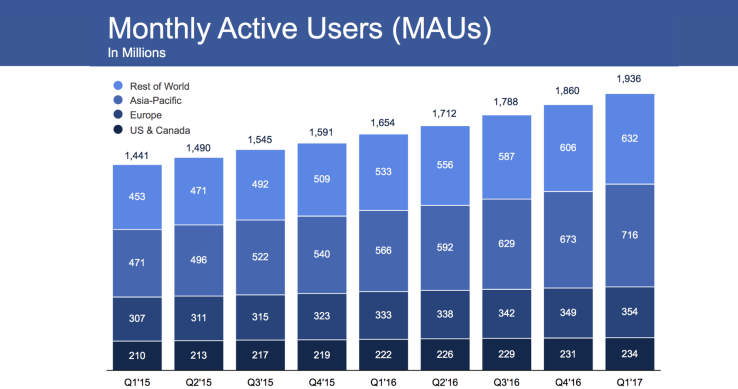 Facebook is STILL growing. Day by day. More users, more brands, more pages, more groups. It has been predicted for ages now, has it actually happened? Facebook is doing well and is always improving – just check out our blog post from earlier this year to see how many changes they made in 2016! Are you sure Facebook is going to die any time soon? Do you know any ridiculous myths that are still going around the net? Share them with us!